Do you want to ensure your garage door looks great and continues to work smoothly and quietly for years to come? If you own a steel garage door from B&D, consider yourself lucky. Your door has been pre-painted with one of the best paint films available to protect it from the elements. However, all parts of your home (including your garage door) require some simple upkeep to ward against rust and damage over time. Here, we’ll explain all our best garage door maintenance tips to keep your beautiful B&D garage door in pristine condition. The best way to keep your garage door in great condition is remarkably simple: Go over your door with clean water and a cloth every 14 days. We recommend more frequent washing if your garage door is located in a salty or industrial area. Wash every part of your door gently and thoroughly, except the automatic opener. If you wash the automatic opener, you risk electrocution and voiding your warranty. So the exterior of your garage door looks great. What next? Our second tip is to lubricate the internals of your garage door every three to six months. This is vital to helping your door work smoothly for many years. First, start by cleaning the guide tracks. 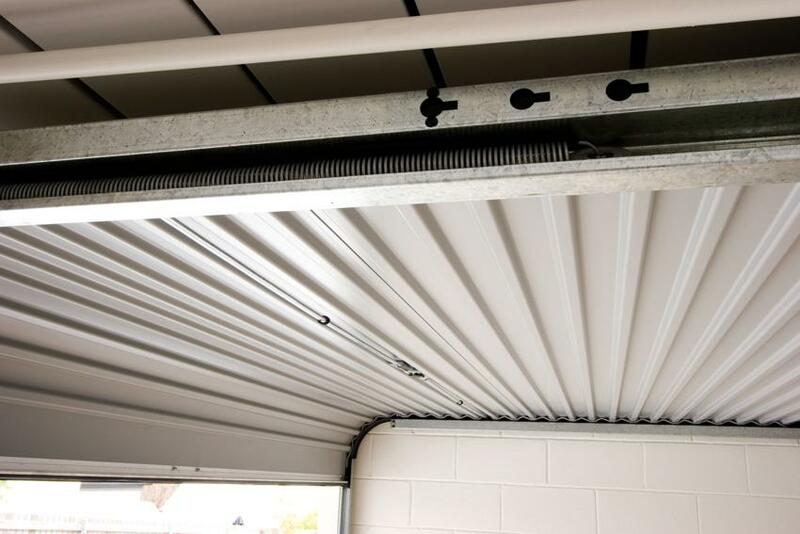 Whether you have a rolling garage door or a panel lift garage door, you’ll need to clean the internal guide tracks using a cloth dampened with mineral turps or methylated spirits. Never use grease or oil on the guide tracks. If you have a rolling door, we recommend polishing the guide tracks with your cloth to make the surface smooth, dirt resistant and moisture resistant. This will also help the Nylofelt on your door glide easily. If you have sectional doors, you can skip the polishing. If you have ill-fitted steel hinges, sparingly lubricate these with an all-purpose machine oil. Don’t forget to lubricate the wheel to axle bearings. If your door has plastic hinges, you won’t need to lubricate them. However, silicon spray is great for keeping plastic hinges in good condition. To lubricate the springs, wipe them over with an oily rag. Generally, you won’t need to do anything to maintain your lock. However, if the key starts to become stiff, we recommend using a spray lubricant like RP7 – never use grease. For the opener chain, use chain lube to keep it running smoothly. Even if you’ve purchased a high quality garage door, you’ll eventually need to repair parts that wear out. Luckily, it’s easy to check whether you need a repair every six months. If you have lifting cables fitted, check for signs of fraying or corrosion by carefully rubbing the cable. Do not adjust the cable. Next, check your door’s screws, nuts and bolts to ensure they all fit securely. If your door’s springs lose tension and become difficult to operate, it’s time to contact a professional. To keep your garage door in top technical condition, we recommend arranging for your door to be serviced by an experienced technician at least every 12 months. As your local Brisbane experts in garage doors and garage door maintenance, D&K Doors are well-equipped to service your garage door and make any necessary repairs. Contact us today for a quote.